The number of people moving to Jersey City is rapidly growing and the city is now more alive than ever. What is so great about JC you ask? Many things. It is almost like New York but quieter, less congested, and without the sky-high prices. It is so close to the Big Apple that people call it the sixth borough. Even though it is in a different state, JC is extremely close to Manhattan. But with so many employment and entertainment options, who even needs New York? Jersey City has everything you need and more. Best neighborhoods, where to go for fun, how to relax after a move – learn everything and more from experienced Jersey City movers. Before (or shortly after) moving to Jersey City, you’ll need to find a home. In case you choose to move to Jersey City first and search for a home later, you can stay in a hotel or rent a temporary home. While you are house hunting, your belongings can wait in a storage unit. 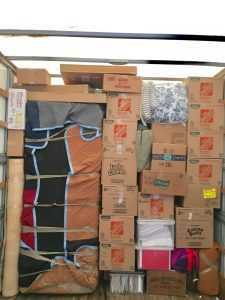 A lot of good moving companies in NJ provide temporary or even long-term storage. JC offers a lot of housing options worth considering. Moreover, you will have space and privacy at relatively affordable prices which cannot be said for NY. No matter which Jersey City neighborhood you choose, Vector Movers NJ can help get you there. Downtown – This neighborhood has residential buildings, condominiums, a marina, excellent schools, an abundance of shops and restaurants, etc. The historic Downtown area has plenty of row houses, similar to those in Brooklyn. And, of course, there’s the spectacular waterfront view of Manhattan’s skyline. Paulus Hook – This neighborhood also has a waterfront area with many stores and restaurants as well as a stunning view. Plus, it is only a mile away from Manhattan. Newport – A neighborhood on the bank of the Hudson, across Tribeca. Apart from a gorgeous waterfront view of the river and the Manhattan skyline, there is the Newport Centre Mall with 130 stores and a movie theater, a 4.25-acre park with a popular beach and a huge playground, great schools, restaurants, etc. Hamilton Park – It is located north of the downtown area. It boasts a variety of shops, cafes, restaurants, and a vibrant nightlife. The most important feature of this lovely neighborhood is the Hamilton Park. A lot of family-friendly events and community activities take place throughout the year in this park. It also has a farmers’ market inside it. Van Vorst Park – This neighborhood is home to the City Hall, the main branch of the public library and the Jersey City Museum. It has a lot of rowhouses and brownstones. Although it is mainly residential, it has a commercial part with many restaurants and cafes. It is named after a 2-acre Victorian style park with two playgrounds, a dog run, gorgeous gardens and much more. Bergen-Lafayette – Two neighborhoods merged together make one of the largest neighborhoods in JC. Bergen-Lafayette has various architectural styles – from Victorian to modern. Apart from the new luxury housing, there is middle and lower class housing. This neighborhood contains the old Lafayette Park, and a brand new one – Berry Lane Park. Even before you move to JC, you should start looking for a job. The earlier you start your search, the better. Lucky for you, the city’s economy is growing, creating more job opportunities. With the unemployment rate below 4%, Jersey City has reached a 25-year low. Need help moving to Jersey City? No move is easy. Still, there are many things you can do to make this complex task less stressful and complicated. One option is to do everything yourself with the help of your friends and family. All you need to do is rent a truck, purchase packing material, maybe watch a few tutorials on how to pack fragile items and get started. However, the risks of DIY are numerous. Furthermore, it is time-consuming and it may turn out to be more expensive than hiring professional help. Moving to Jersey City with ease means consulting and hiring moving professional in NJ to take care of everything for you. 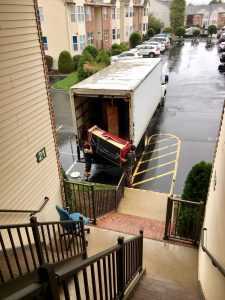 Therefore, we definitely recommend hiring professional movers, especially if this is your first big move. Experienced movers will be able to organize your relocation the way only professionals can thus saving you the trouble of doing it yourself and making rookie mistakes along the way. For short-distance moves, your local movers NJ will do just fine. If you are moving to Jersey City from across the country, look for reliable cross country movers NJ. You do not necessarily need a car after moving to JC. Around 40% of JC households do not possess a car, and even more people use public transportation to commute to work. Public transportation comes in various forms – a light rail (HBLR), the PATH, ferries, and buses. Although you can get to Manhattan from JC easily and quickly using public transportation, it is not the best option for traveling within Jersey City. Often, it is easier to go on foot or catch a cab. When it comes to entertainment, Jersey City won’t let you down. As you have noticed, shops, cafes, and beautiful parks can be found everywhere. The Statue of Liberty and Ellis Island – some of the most popular tourist attractions – can be accessed more easily from Liberty State Park. 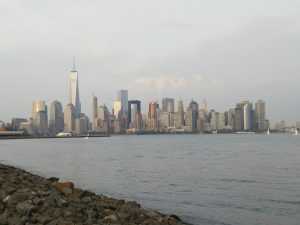 You can walk, run, bike or scoot along the 18.5-mile Jersey City Waterfront Walkway while enjoying the stunning view. Still, the climate of Jersey City won’t allow you to have fun outdoors all year long. There are also highly-rated bars and restaurants. You’ll have a wide selection of international cuisines, such as Chinese, Italian, Mexican, and Indian, to name a few. In addition, there are movie theatres, performance venues, ice rinks, etc. However, if you’re a night owl, there is a minor inconvenience. Unlike New York, Jersey City is not open 24/7. Bodegas are open until 11 pm. Also, many restaurants and bars are closed after 1 or 2 am and on Sundays. Find out how to make moving to Jersey City an easy, stress-free endeavor and what kind of life to expect afterward. Jersey City is a wonderful mix of the old and the new. With its improved and diverse neighborhoods, Jersey City has become a wonderful place to live. International movers – how to hire?